Savings Alert! (IBBM) is ready to hit the online marketplace once again. Droom is not just popular for offering verified sellers, best pricing, and a wide range of categories and vehicle listings, but also for great deals and discounts. Droom’s IBBM is the hottest destination for bikers to upgrade their bikes or get their first power machines to discover the thrill of riding a bike. 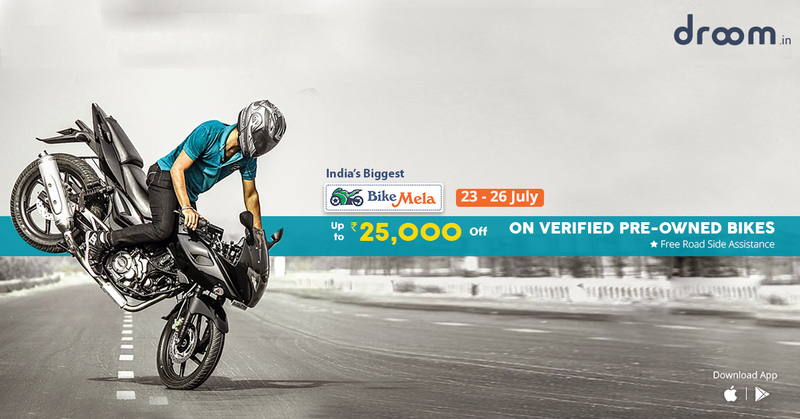 Starting July 23, 2016, India’s Biggest Bike Mela will be live, featuring top selling used bike deals at unbelievably low prices. It is an opportunity for every bike enthusiast to score a feature-packed 外汇平台 motorcycle within his/her budget. You can get discounts of up to ₹25,000 on verified pre-owned bikes. Additionally, Free Road Side Assistance is available on each purchase, helping you to stay safe on the roads. From simple commuter bikes and sassy cruisers to extravagant sports bikes, the Bike Mela has something to match every motorcycle need. Each used bike comes from a verified seller with a verified price tag, for your peace of mind. You can use Droom’s Orange Book Value to check the true market value of the deal you are eyeing, and rest assured that you are indeed getting the best deal. So, what are you waiting for? Go to droom.in/ibbm and register to get a notification as soon as the Mela starts. The Bike Mela will be live for a limited time only. Hurry up!